Japan is one of the most susceptible country to earthquakes. Yesterdays 8.9 magnitude earthquake is sixth strongest in recorded history of the world. Most recent disaster struck just 16 years ago in 1995 in Kobe taking over 6,400 people. 8.3 by Richter scale 1923 earthquake in Great Kanto took 140,000 people. Earlier 1896 8.5 Sanriku earthquake and tsunami killed 22,000. Another 8.1 quake, and resulting tsunami, hit the same region in 1933, killing 3,064. While currently in the epicentre of the disaster, Japan is coping with sheltering from aftershocks, tsunami, nuclear station explosion and hundreds of collapsed houses and wracked roads. Today, a day after the disaster hit, world is watching speechless. While watching raw footages of the catastrophe I can’t hide admiration to how well prepared the nation is to withstand the earthquake of this magnitude. With four major earthquakes occurring in the last 100 years according to predictions, one like this is expected to occur once per 2,000 years. The building code in Japan accounts for this happening in any year. Multiple storey buildings are designed absorb the trembling of the earth. Base Isolation is architectural technique where the building at the ground level is mounted on large rubber blocks or sliding bearings. This allows the building to swing. The technique is now also used for sky scraper type buildings in the United States, Canada and countries where high winds are common. Steel carcass makes an underlying skeleton of such structures to provide necessary flexibility in case of natural disaster. Sea walls in certain areas of Japan are over 40 feet high to shield from tsunamis. It has been reported that yesterday, tsunamis went over 10 meters on the north eastern shore triggering the flood that carried away close to 1000 people, cars, boats and landed airplanes. Should the seawalls be lower this number would have been many times larger. The $20 million a year warning system consists of regional centers that send signals from 180 seismic stations across Japan. State of the art water-borne sensors are monitored 24 hours a day by a computerized Earthquake and Tsunami Observation System (ETOS). The reaction to warning is well rehearsed in every single office and public building. By watching the video footages one can observe little chaos and immediate actions from people who silently hide under the desks, step away from the book cases in offices and food shelves in supermarket. 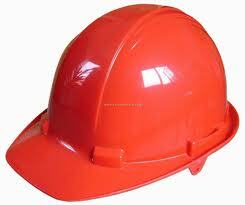 In some footages we can see people wearing helmets as buildings still shake. No one can be fully prepared to an earthquake of this scale, but Japanese nation has demonstrated the world that each life is priceless and even statistically highly improbable earthquake is taken seriously by the government that creates building laws with single purpose to save lives. This article is dedicated to Japanese architects, builders, construction workers and government officials who dedicated their lives to save lives of their peer citizens. Japan, fashion world folds the hearts for you today with respect and sorrow. One of the architects theyr building survived was from Czech Republic.